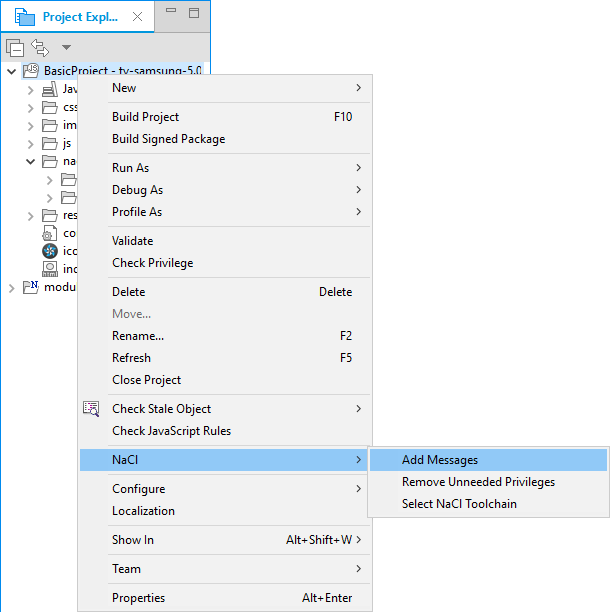 The Tizen Studio can generate and insert code stubs for messaging functions, so you can focus on implementing the communication logic. For information on implementing messaging in NaCl applications, see Messaging System. 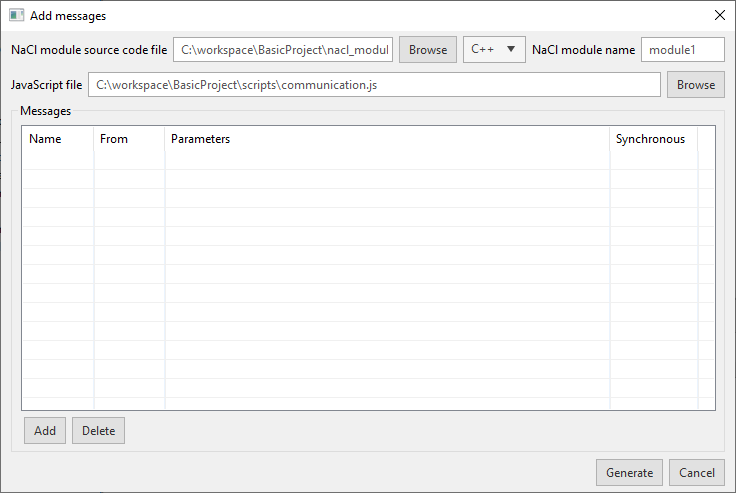 In the "Project Explorer" view, right-click the TV application project or NaCl project, and select "NaCl > Add Messages". 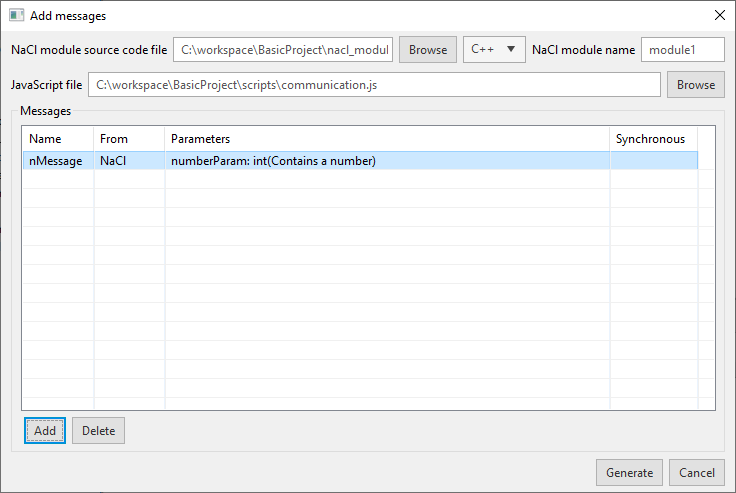 The NaCl module name must correspond to the id attribute of the <embed> element for the NaCl module. 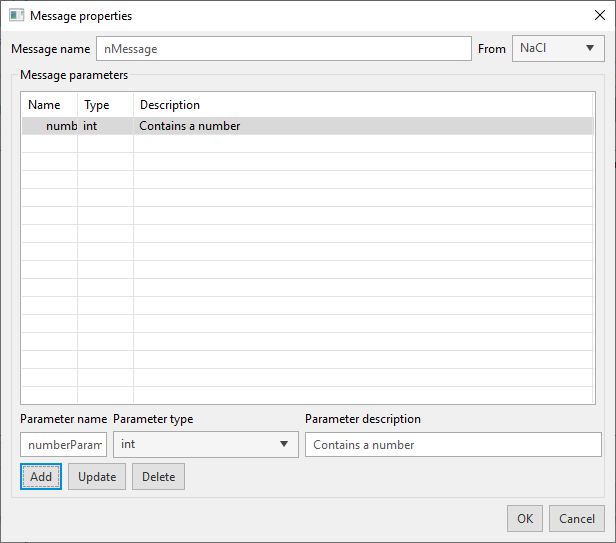 To add a parameter, define the parameter name, type, and description, and click "Add". To modify a parameter, select it from the list, modify the parameter values as needed, and click "Update". To delete a parameter, select it from the list, and click "Delete". To save the parameters and create the message, click "OK". The created message is shown in the "Messages" list. To delete a message, select it from the list, and click "Delete". To generate and insert the message code templates into the source code, click "Generate". A data structure is generated for the message, defining the message parameters. The generated code also includes stubs for documentation in Doxygen and JSDoc styles.